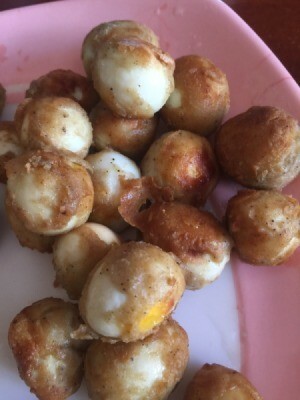 These tiny eggs can be delicious bite sized snacks. Yield: Good for 1 person if 1 dozen only. 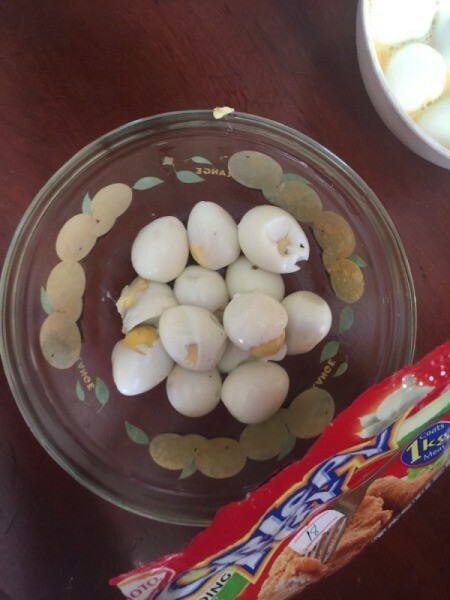 Boil the quail eggs. 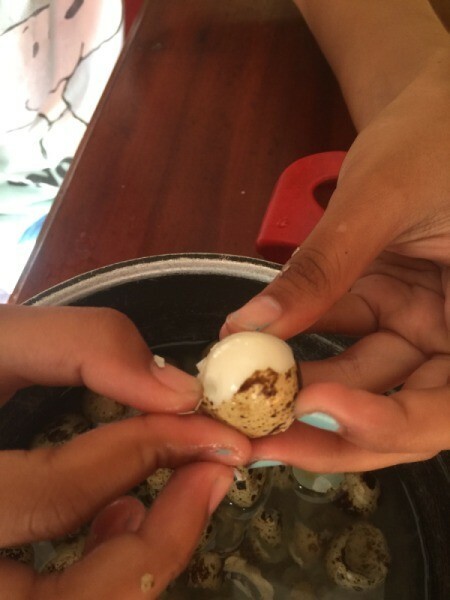 Remove the eggshells of the quail eggs. 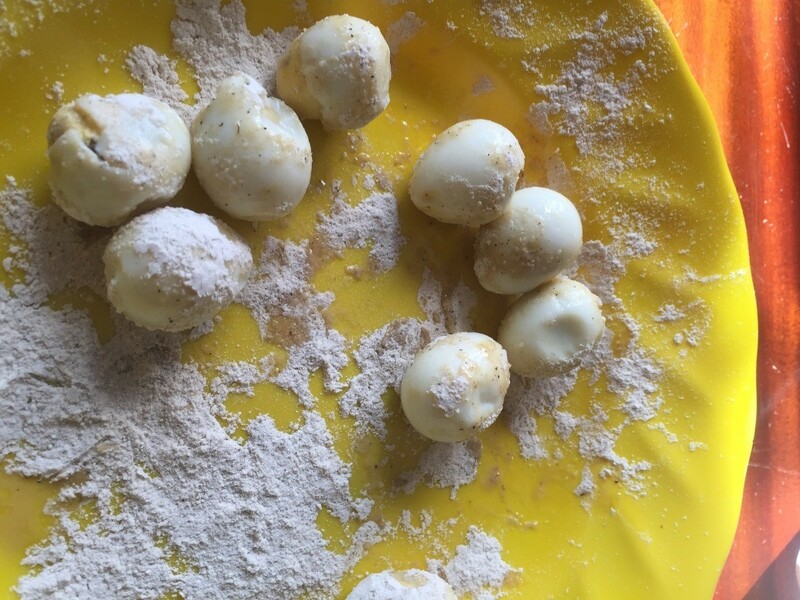 In a separate bowl, beat an egg until bubbly. 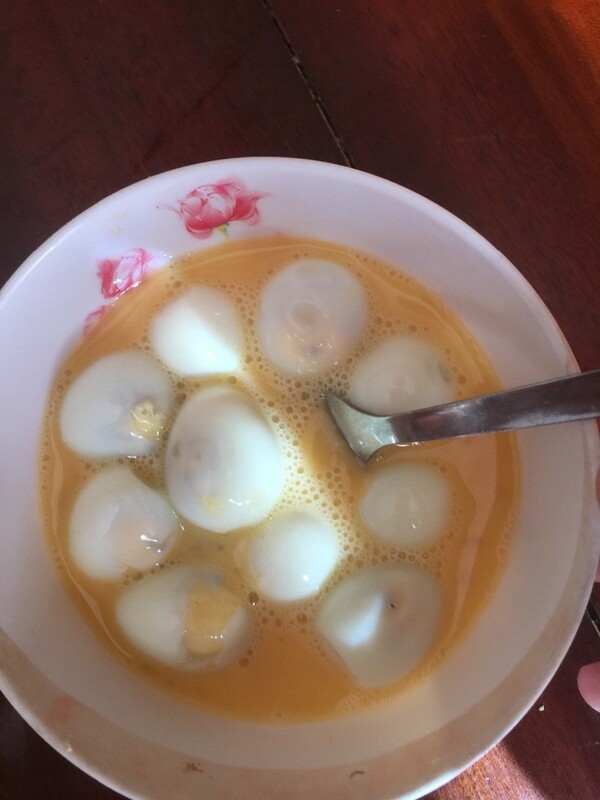 Dip the peeled eggs in the beaten egg. Coat the egg with crispy fry mix or the flour mixture.